Why Does My Mineral Makeup Blush And Lipstick Change Color? 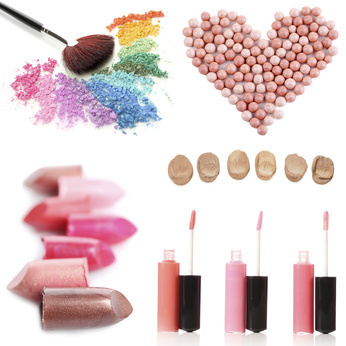 Does your Lip Color (lipstick, lip Gloss) or Mineral Blush tend to have a color shift after you apply it to your face? Or after you have worn your makeup about an hour or more the shade turns weird? If you are experiencing this little phenomenon, there is a way to counteract this effect. We have been told on more than one occasion the frustration some women feel when their favorite shade goes to a weird color. We have explained in some detail why your mineral makeup foundation can change color and many times it is due to certain products or medications one might use on the face. Now color shift with your blush, lipstick or lip gloss is a whole other issue when it comes to adding the beautiful shades of color to our face for enhancement, contouring and color correction. Typically what we see occurring on some women with every blush shade of coral, pink, peach or any shade that may appear to have strong red tones, a tendency to shift to orange making a less than flattering face or lip color. One reason is orange or yellow oxide are used to create coral, apricot and peach shades so they easily will shift to the not so lovely pumpkin shade. Simply put, if you have this problem, it is due to the pH levels of your skin. Skin that tends to be more alkaline is taking a perfectly blended color and turning it orange and it won't matter how many different ones you try, the reaction will be the same. Red is red, pink is pink and iron oxides are all the same. They are what they are, and there is no changing that. Red especially, when exposed to high alkalinity can fade or bleach turning a shade of subtle orange as well. There Is A Solution, However! Now for the good news! By being made aware of what is happening, there are definitely ways to counteract it. We advise a simple color change in order to achieve the look you desire. For women who have high alkalinity in their skin the problem is solved by going to a blush or lip color with more of a blue / red undertone. Why you ask? Because Blue is used to tone down a sallow skin tone and it is opposite of yellow and orange on the color wheel. Color theory is a big part of what we do when formulating our shades of mineral makeup, and due to this it is simple to alter the effect of a shade turning orange. It is best to look for mauve, lilac, burgundy, grape, plum and wine shades. The mineral blush shades we carry to help women to keep the shade true to their skin and for color correction are Lilac, Cerise, Indigo, Mauvelous and Vintage. You may look at Lilac for instance, and think "but this shade looks violet / bluish" and you would be right but once applied to an alkaline skin type or sallow skin, the color corrects and is exquisite. It transforms on the face to a perfect soft, natural flush of the skin. The same is true for Indigo. In our lip colors we offer shade choices to assist with correcting and offsetting of the alkaline issue. Choosing shades with more violet is the best choice. But You Love The Other Shades Too! We know how you feel. You just can't live without that pretty pink blush or that favorite red lipstick or gloss and are wondering if you can do anything else so you can buy your favorite shade. In some cases there is more you can do to help correct the pH in your skin. This of course is a temporary fix and it is debatable it will endure a full day. However, it has worked for other women that tend to have skin that has a slightly higher alkalinity. First off, for those who truly love and use naturally made soaps on the face, these are absolutely wonderful for many skin types. So many wonderful combinations of butters and nut oils for giving skin a healthy glow, but unfortunately for those who have high alkaline skin types, these are not recommended. These facial soaps can wreak havoc on makeup color being applied to the skin and it is due to handmade soaps having a higher alkalinity. The pH levels in these luscious bars of soap can be anywhere from 8.5 to 10. The desired normal skin pH is a 4.5 to 6.0 and soap can leave a residue on the skin which can cause discoloring of your cosmetics. The same is true for women who have normal pH yet use natural soaps. It will be trial and error to see if this could be the problem you are having. Just this simple step helped many women stop their favorite shade from changing color. Another solution is to help correct skins pH by using facial cleansers with the reported pH levels suitable for normalizing skin. Toners also work very well for normalizing pH levels, and will help to sustain the pH levels on the skin. Most of our moisturizers are naturally pH balanced for continued gentle face care. Our ONATI Skin Care line of products are created for superb results in achieving perfect skin. Another excellent pH normalizing ingredient is pure Jojoba Oil. You can use it straight from the bottle or use one of our foundations or Evening Rose Veil as a primer which both utilize Jojoba Oil to help neutralize and maintain skin's pH throughout the day. This is one component as to why our shade formulations don't shift color after being applied to the skin and your blush shade should sustain as well. 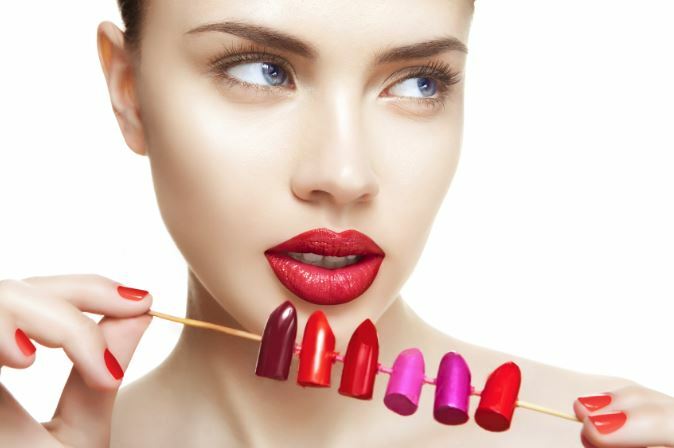 When it comes to Lipstick, unfortunately you will more than likely have to deal with opposite shades on the color wheel as was suggested earlier. The mouth is exposed to liquids, foods and licking of the lips, so sustainability of keeping the pH normal here will be next to impossible. Try these few techniques and you will soon see you will be able to achieve the flawless complexion that other women achieve who are blessed with balanced pH levels. Finally you'll enjoy the best results and be saying, "No More Funny Makeup Days!"